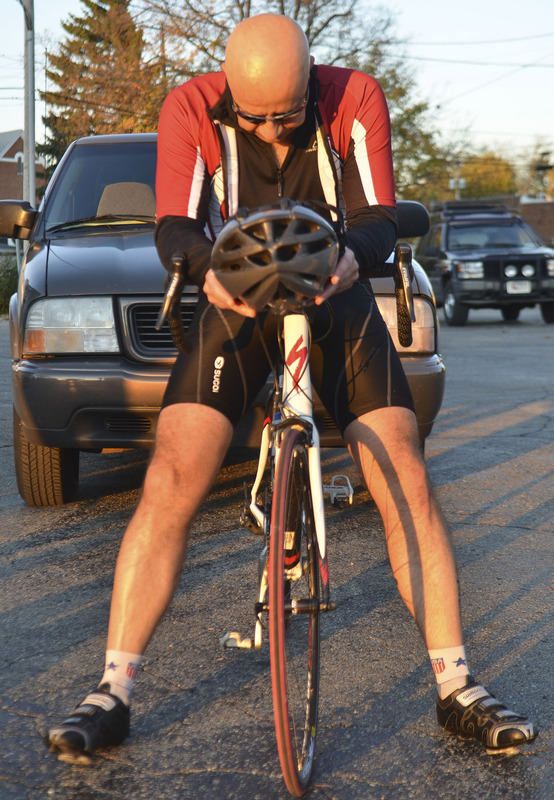 Rafat Abonour rests on his bike after completing the first leg of the Miles for Myeloma trip on Friday in Liberty, Ind. The riders biked 130 from Jeffersonville, Ind. to Liberty, Ind. on the first day of the trip.